Carolynn Wright, 22 a South Carolina stripper has been arrested after allegedly beating a female coworker with a stiletto at a gentlemen’s club, leaving her with stab wounds and swelling to the head. 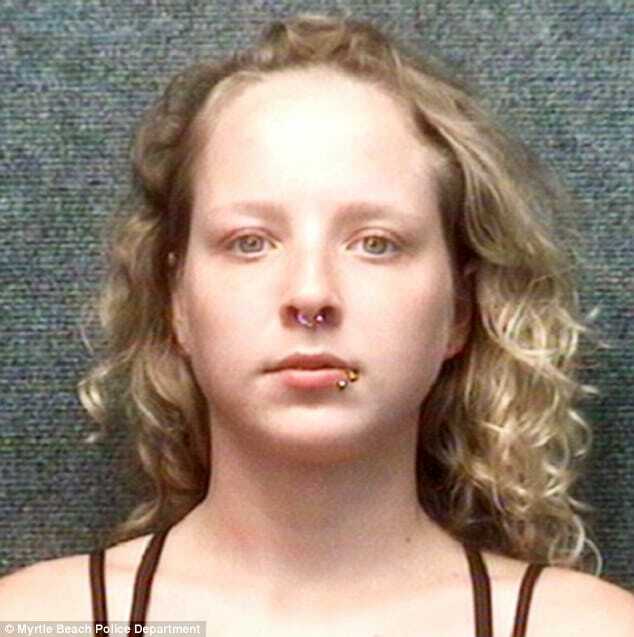 The fracas came to happen in the bathroom of Chez Joey strip joint in Myrtle Beach at 2am last Thursday when the stripper confronted bartender Ashley Michaels-Hoder, 24, before grabbing her by the hair. Our collective heroine would allegedly then repeatedly beat Hoder with ‘a clear plastic high-heeled shoe’, causing her to suffer a swollen left eye, swelling to her forehead and two puncture wounds that needed stitches. During the alleged assault, the victim was unable to defend herself because our collective hero was holding her head down, Michaels-Hoder told officers during an interview in hospital. Wright who is is engaged, tell cops has a history of violence, having already served two short jail sentences this year for disorderly conduct and assault crimes. And one imagines one’s own self demise. Wright’s bond has since been set at $5,000. Carolynn Wright (l) and Ashley Michaels-Hoder (r). I’ll ask the judge to release her into my custody. I’ll get her straightened out.